ROCKVILLE, Md., Nov. 1, 2018 /PRNewswire/ -- The Quality Inn brand, one of the largest and most recognized in the midscale segment, has reached a milestone with the opening of its 1,600th U.S. hotel in Bellevue, Wash. Part of the Choice Hotels International, Inc. (NYSE: CHH) portfolio, the Quality Inn brand's growth underscores its enduring appeal to guests and developers across the country. Located at 3241 156th Avenue Southeast, the 1600th Quality hotel is ideally situated in Seattle's Bellevue borough, which consistently ranks as one of the best places in the nation to live and launch a business. In addition to providing visitors with convenient access to the nearby corporate headquarters of Microsoft, Nintendo, and T-Mobile, the Quality Inn Bellevue is within driving distance to downtown Seattle and the Seattle-Tacoma International Airport. The hotel offers amenities that Quality guests value most, including complimentary hot, fresh breakfast, free Wi-Fi, attentive staff, and access to the award-winning Choice Privileges loyalty program. "Quality Inn is a top choice for owners thanks to its strong brand equity and value proposition. That's why franchisees come back to us, year after year, to open Quality hotels in even more markets that guests desire. The Quality brand is now 1,600 hotels strong and shows no sign of stopping." said Tom Nee, vice president, franchise development, Choice Hotels. Choice Hotels traces its history to 1939 when the nation's first hotel chain, Quality Courts, was founded. Two years later, the Quality brand redefined the industry by establishing a common set of requirements and operating practices, several of which are now modern-day standards. In 1972, Quality Courts was renamed and rebranded to Quality Inn to reflect its growing global presence. In the last five years alone, the Quality brand has added 448 units, becoming one of Choice's largest brands. The Quality Inn Bellevue property is owned by Andy Cho of S1 Hospitality Management, LLC. Cho, who boasts more than 15 years of industry experience, began his career as a hotelier through his family's business and has grown from working at the front desk to owning and managing a hotel portfolio that includes several Choice-branded hotels, such as the Quality Inn & Suites Pacific – Auburn property. "The opening of the 1,600th Quality Inn hotel is an important milestone for Choice Hotels, and the S1 Hospitality team is truly proud to be a part of the brand's historic moment," said Andy Cho, president, S1 Hospitality Management, LLC. "We opened our first Quality hotel nearly a decade ago and, in the years since, Choice has proven to be an incredible teammate and resource. The Quality Inn Bellevue will build on the brand's tremendous reputation and provide guests with all of the midscale amenities they are looking for when they travel." Choice Hotels International was originally founded on the Quality® brand. As the company's legacy brand, Quality Inn continues to deliver on its original commitment of providing guests with an affordable and enjoyable stay. The brand's signature "Value Qs", which include premium bedding, hot and healthy breakfast, friendly service and free Wi-Fi, help guests focus on the people and travel memories that matter most. Quality Inn is one of the largest and most recognized brands in the midscale segment with more than 1,800 properties open worldwide as of June 30, 2018. 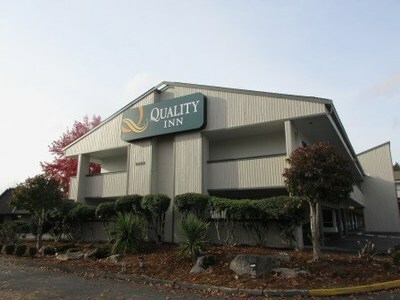 For more information, visit www.choicehotels.com/quality-inn.